Introduction: Anemia in children is a public health problem in Peru and in the world. Children are particularly vulnerable to anemia, because of their high growth rate and high iron requirements, presence of parasites, low birth weight and frequent episodes of diarrheal infections. 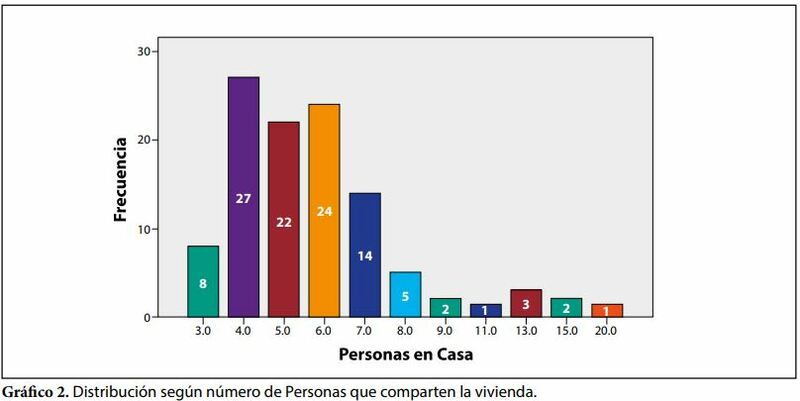 The objective of the present investigation was to evaluate the factors associated with gastrointestinal parasitosis, anemia and school performance in children of the primary level of two schools in Pamplona Alta.Introduction: Anemia in children is a public health problem in Peru and in the world. Children are particularly vulnerable to anemia, because of their high growth rate and high iron requirements, presence of parasites, low birth weight and frequent episodes of diarrheal infections. The objective of the present investigation was to evaluate the factors associated with gastrointestinal parasitosis, anemia and school performance in children of the primary level of two schools in Pamplona Alta. Methods: A quantitative, analytical and cross-sectional study was carried out, with a simple random probabilistic sampling of 1st-6th grade students from two schools in Pamplona Alta, Lima, Peru. A survey was applied after informed consent of the parents, anthropometric measurements of the children were taken, capillary blood samples, as well as direct coproparasitological samples and Graham's test. The general average of the last trimester was chosen as well as the final math average of the last quarter as indicators of school performance. Results: A total of 109 children were included. By direct examination of stool samples and the Graham test, three types of enteroparasitic pathogens were diagnosed: Entamoeba coli (6.54%), Giardia lamblia (10.28%) and Enterobius vermicularis (7.62%). This corresponds to a global prevalence of 24.44%. A 25.93% anemia was also observed in the study population. We found a significant association between anemia <12 g / dl and overall performance (OR: 4.09 p = 0.047 IC95% = 1.01-20.591), anemia <11.5 and overall performance (OR: 5.60 IC95%: 1.19 - 27.14 p: 0.01) , and having a pet and approval in mathematics (OR: 2.55 p = 0.041 IC 95% = 1.026 - 6.374). Conclusion: One in every 4 children presented anemia and parasitosis, the anemia wassignificantly associated with poor school performance. Having a pet was significantly associated with passing in math. Future studies are necessary to confirm and extend our results.